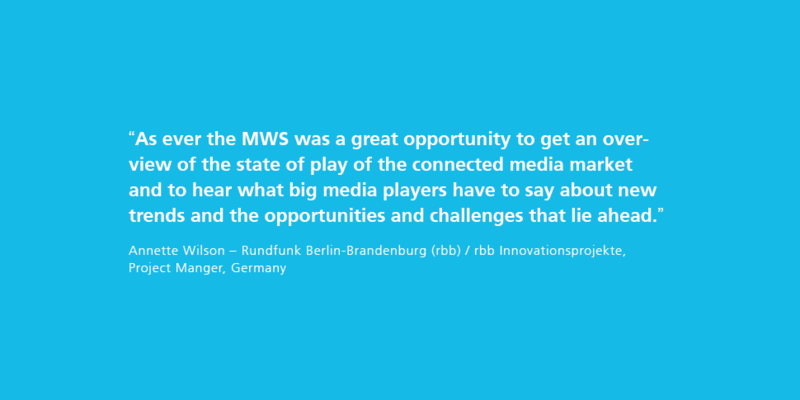 The FOKUS Media Web Symposium (MWS) is an annual international conference organized by Fraunhofer FOKUS hosting 200+ participants from all over the world discussing Internet based media delivery. 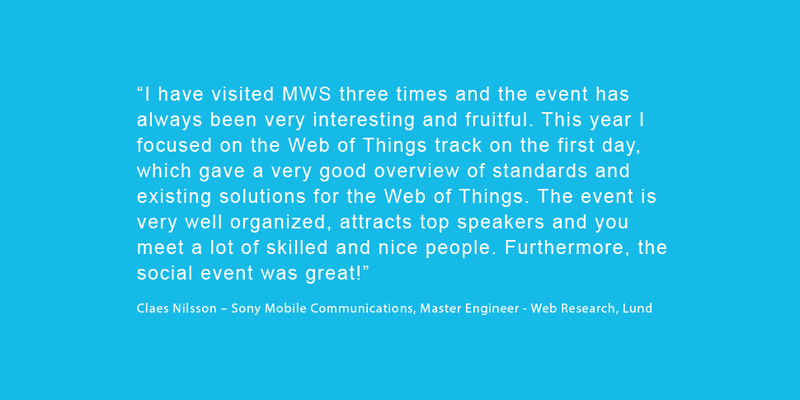 In two days MWS covers technical aspects (workshop, tutorials, and exhibition on the first day) as well as trends and business related aspects (conference on the second day). 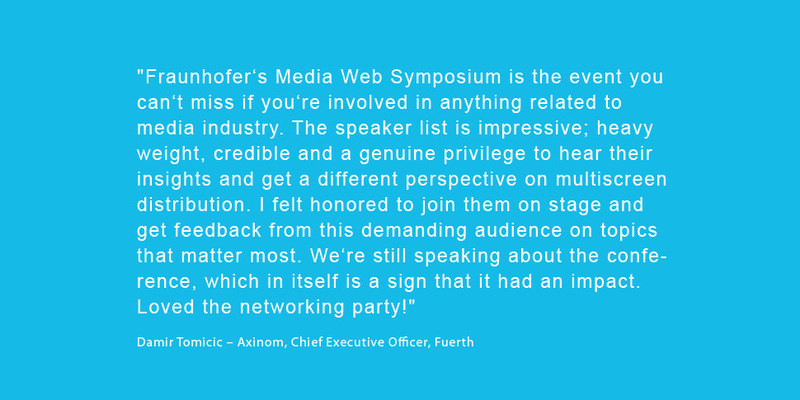 The 8th FOKUS Media Web Symposium will offer the latest insights in internet delivered media such as Artificial Intelligence, Machine Learning, Data Science for next-gen Media, Advanced Streaming Tech, 5G, VR / AR / 360° Video, Dynamic Ad Insertion, Addressable TV, SmartTV / HbbTV, related standardization and market developments. 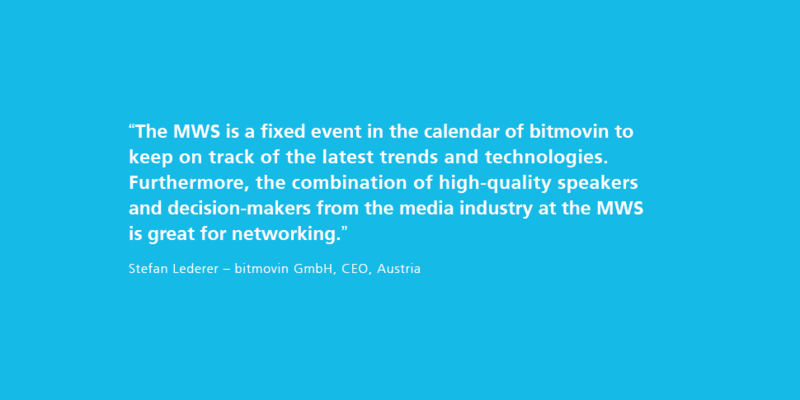 Following our tradition of providing a platform for international technology experts, the latest developments of web technologies and up-and-coming trends of the creative industry will be presented and discussed. 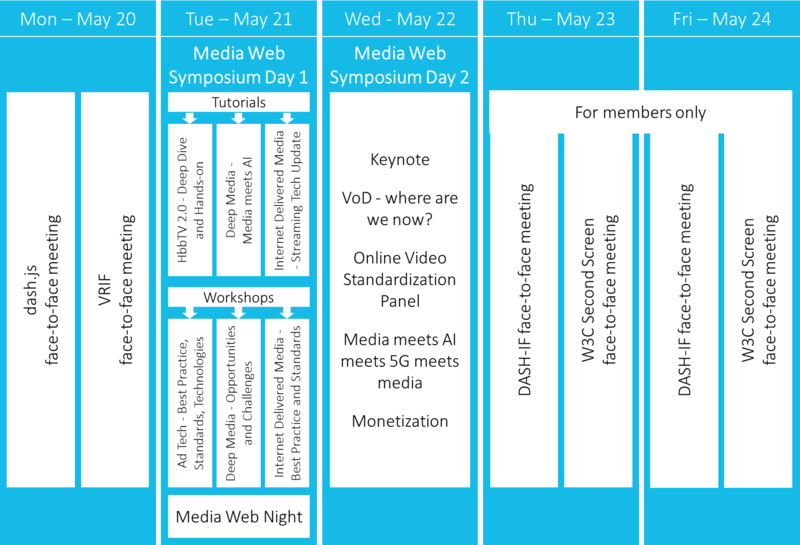 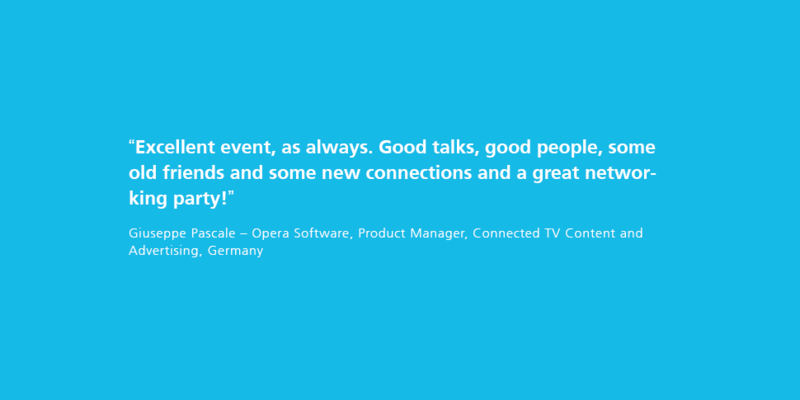 During the sessions, coffee breaks in the exhibition area, as well as at the Media Web Night, participants will discuss where broadcast and over the top delivery will go and which technologies and business models will be most sustainable. 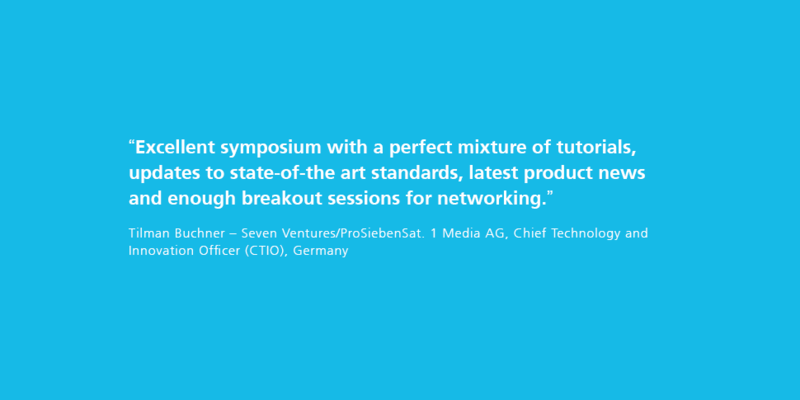 Please check the program and be part of a thrilling international symposium and network with experts of the creative industry. 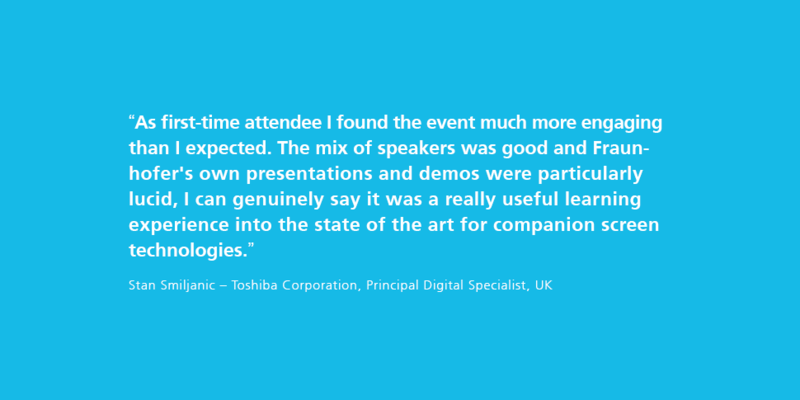 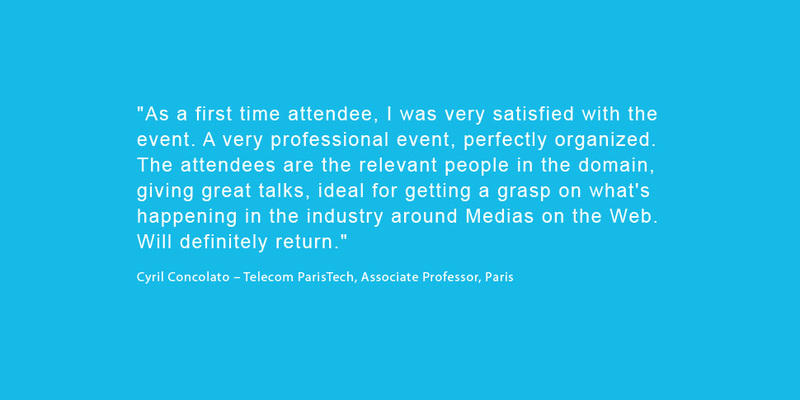 Feel free to contact us to attend as a speaker, exhibitor or sponsor. 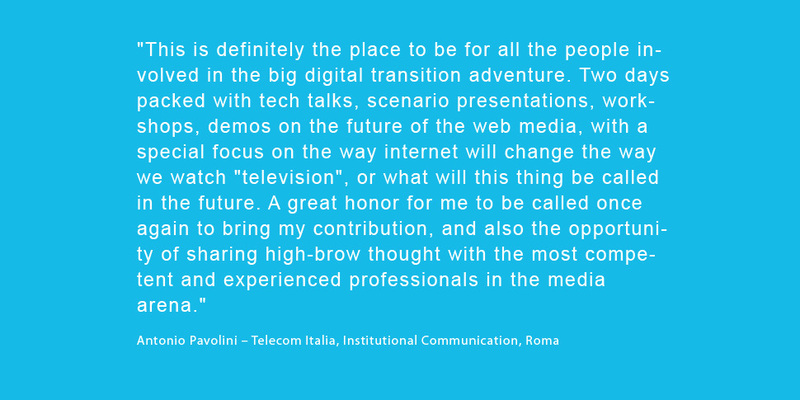 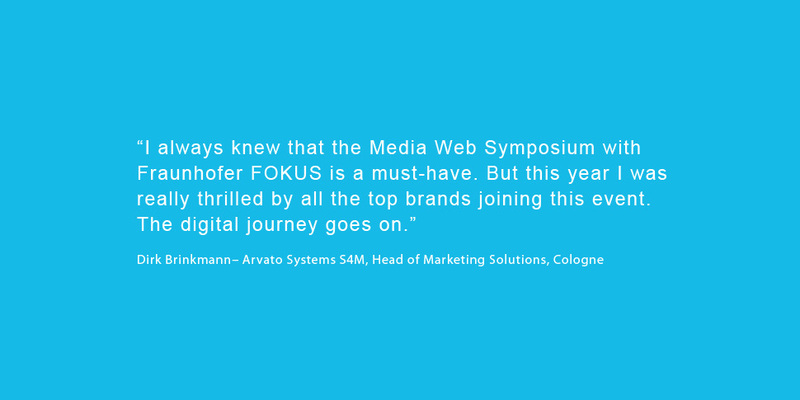 For more information about the FOKUS Media Web Symposium please also have a look at our previous events.